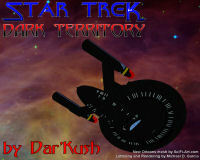 DarKush had the most liked content! Congrats Galen, This is very cool news! Forgot about this list. This is so cool. Thanks for putting it together TLR. I came up with the title "Amah" that I came up with for the story "Corruption of Blood" several years ago. I created the title to be the female version of "Ah'met."